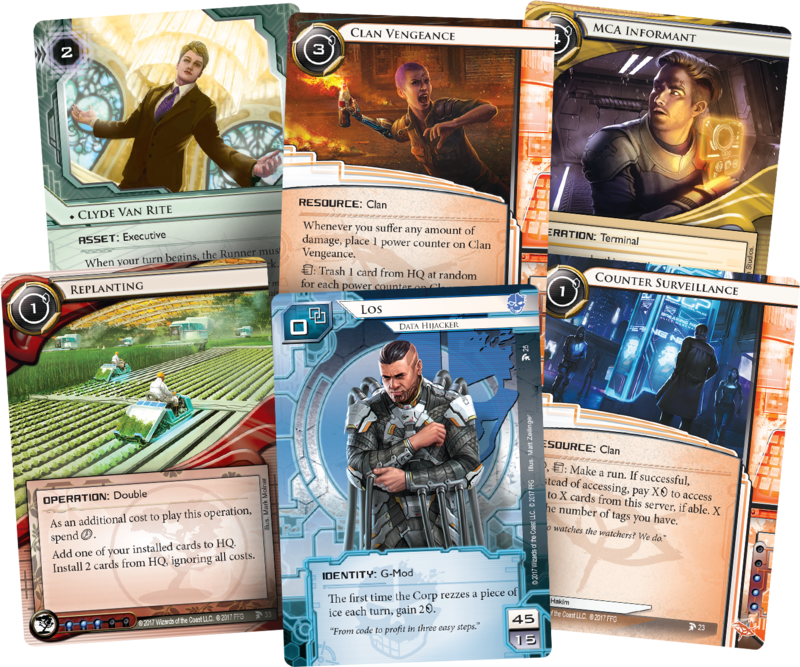 Fantasy Flight Games is proud to announce the upcoming release of Station One, the second Data Pack in the Red Sand Cycle for Android: Netrunner! As the primary hub for Bradbury Railway Co.’s mag-lev inductracks, Station One is crucial to the distribution of food, fuel, and raw materials across the resource-starved cities and nodes of Mars. The Martian colonists scattered across the planet’s surface rely upon its supplies for their survival. The megacorps terraforming the planet—and increasing their control over it—view the station as a vital hub for their financial investments. 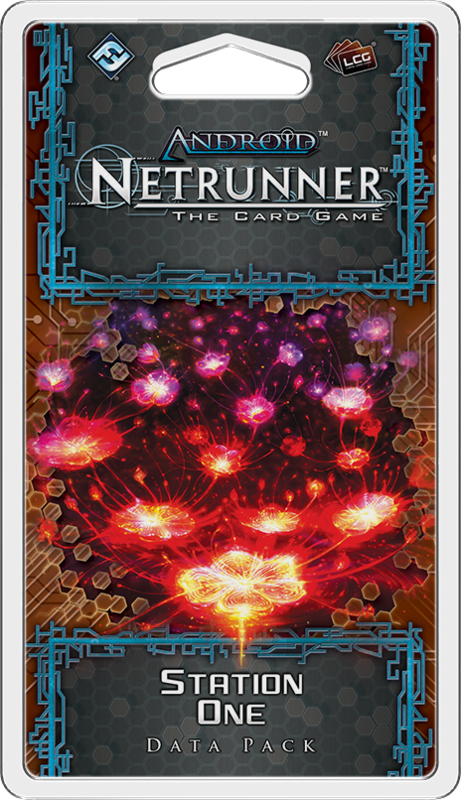 And the opportunistic runners of Android: Netrunner? They see Station One as a tempting target through which all the secrets of Mars must pass. But nothing on Mars is easy. If runners want to seize the data passing through Station One, they’ll need careful planning and even better programs. 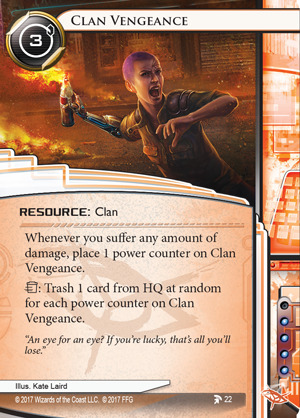 If the megacorps want to keep business running smoothly along the mag-lev lines, they must reckon with Clan Aeneas. And if ordinary colonists want to survive, they’d better pray they don’t get caught in the middle. 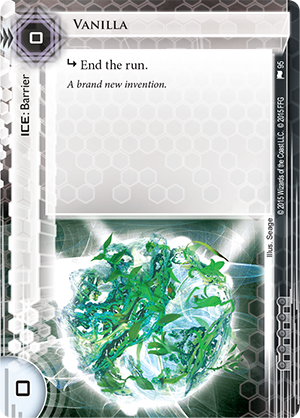 The sixty new cards (three copies each of twenty different cards) in Station One bring these tensions to the cratered surface of Mars, and it’s a dangerous place to be! 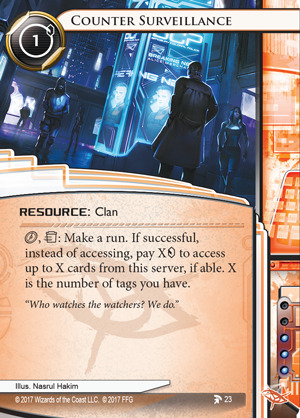 On Earth, runners can siphon wealth and data while hiding in the shadows cast by towering megacorps that are too rich and too segmented to monitor every aspect of their own operations. 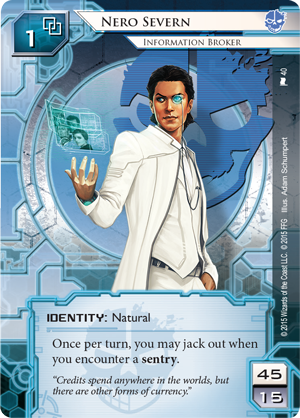 On Mars, the corps cast smaller shadows, and runners will find themselves drawing a great deal of unwanted attention unless they learn how to exploit the tighter control the corps hold over their resources. 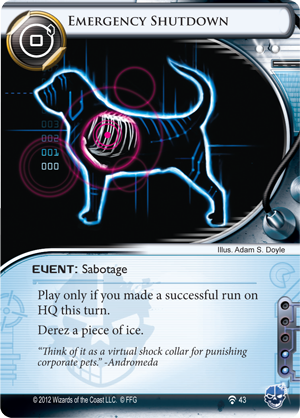 They would do well to heed the example set by Los (Station One, 25), a data hijacker who knows how to profit every time a Corp must expend resources to raise its defenses. 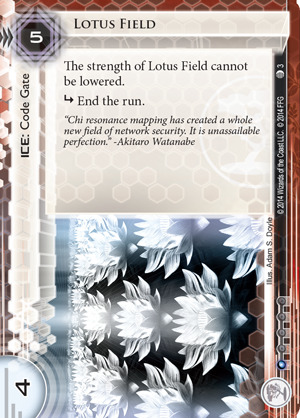 Gaining two credits for bouncing off of a newly rezzed Vanilla (The Liberated Mind, 95) or Lotus Field (Upstalk, 3) is a nice reward for any Criminal player who feels like testing the corp’s defenses in the early game. 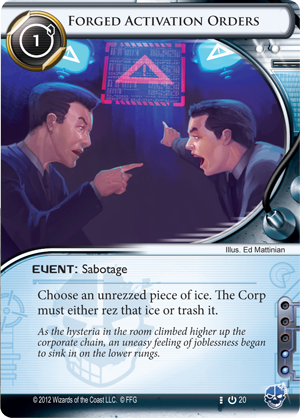 And savvy Criminals will maximize their profits by forcing the Corp to rez the same piece of ice repeatedly with cards like Emergency Shutdown (Cyber Exodus, 43), Crescentus (A Study in Static, 65), and Exploit (Daedalus Complex, 4). 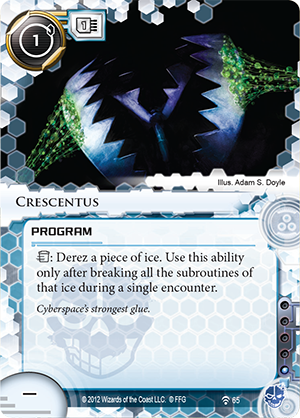 If you’re feeling cautious, you can play Forged Activation Orders (Core Set, 20) and gain two credits without risking an unsavory encounter with a nasty piece of AP ice like Assassin (Data and Destiny, 28). 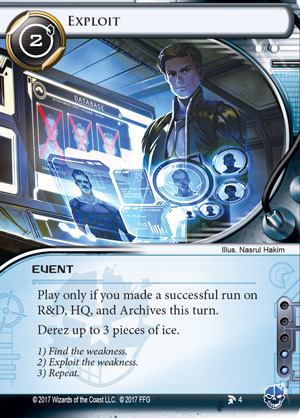 While Criminal identities like Silhouette (Honor and Profit, 30) and Nero (Democracy and Dogma, 40) reflect the cautious nature of a faction that knows credits are no good to you if you’re dead, Los’s ability better fits his nature as a Martian colonist, and it highlights the risks taken by runners who know that the most profitable endeavors are never safe. 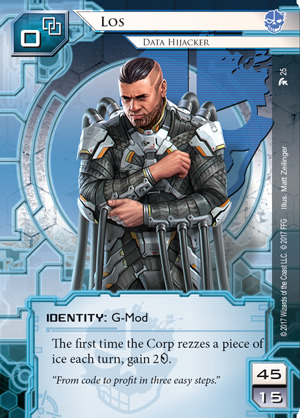 While Clan members may work for the Corps when it suits them, they still wield enough power on the Red Planet to monitor corporate activities and fight back when they feel wronged. Although escalating conflicts between the Clans and corps could have catastrophic consequences in the delicate ecosystems of Mars’s megaplexes, the Anarchs are willing to risk it all—if that’s what it takes to keep the corps from taking over every aspect of Martian life. 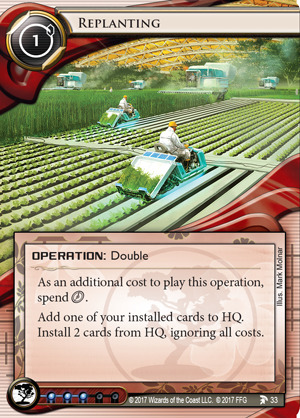 Meanwhile, the corps may have fewer resources on Mars than they do on Earth, but they still know how to wring every credit out of their designs. And as they have discovered, on Mars, adapting is the key to higher profit. 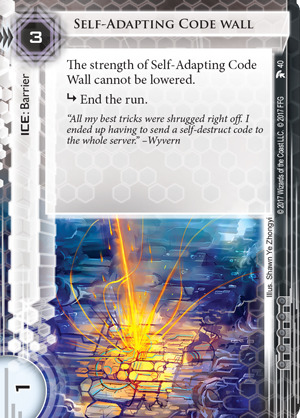 New ICE like Seidr Adaptive Barrier (Station One, 29) and Self-Adapting Code Wall (Station One, 40) emphasize this aspect of Martian life while offering players new options for maximizing the strength and longevity of their barriers. 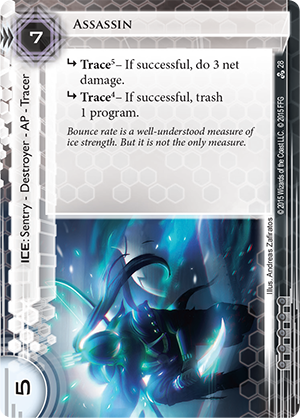 Both cards offer solutions to the most common problems with the kind of gear-checking ice that’s popular in the early game. 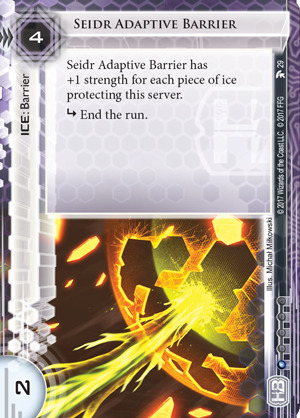 Seidr Adaptive Barrier grows stronger, and more taxing for the Runner, as you build your defenses. 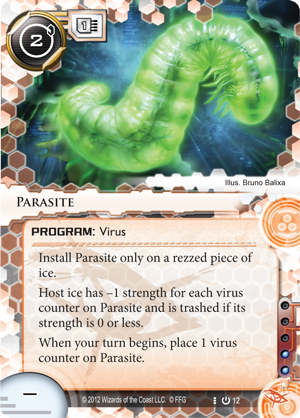 Self-Adapting Code Wall protects itself from Parasite (Core Set, 12) so that it can tax the Runner for the whole game. Reduced access to resources has also led the Martian corps to maximize their resources by recycling and Replanting (Station One, 33). When they control where people can go, where people can work, and what people can consume, they can also prevent the level of waste that comes with the kind of overhead they maintain on Earth. Located sixty kilometers outside of Bradbury, Station One isn’t completely removed from civilization or the influences of Earth that are imported daily through Gullivar Starport. It is, however, the gateway to the nearly lawless expanse beyond. From the station’s platforms, rails stretch outward through lands where the corps exert their influence without government oversight. There, the Clans choose to assist them or violently resist them as they see fit. In these lands, mysteries exist to be uncovered, and profits are ripe for the taking. But the fortunes outside of Station One aren’t suited for just any runner or corp.
Double-check the pressure and seals on your oxy tanks. 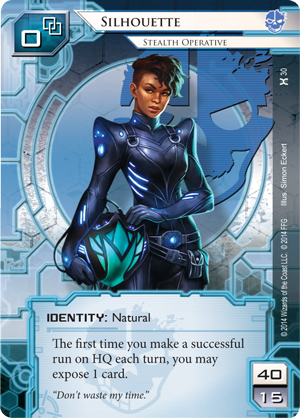 Station One is scheduled to arrive at retailers in the first quarter of 2017!